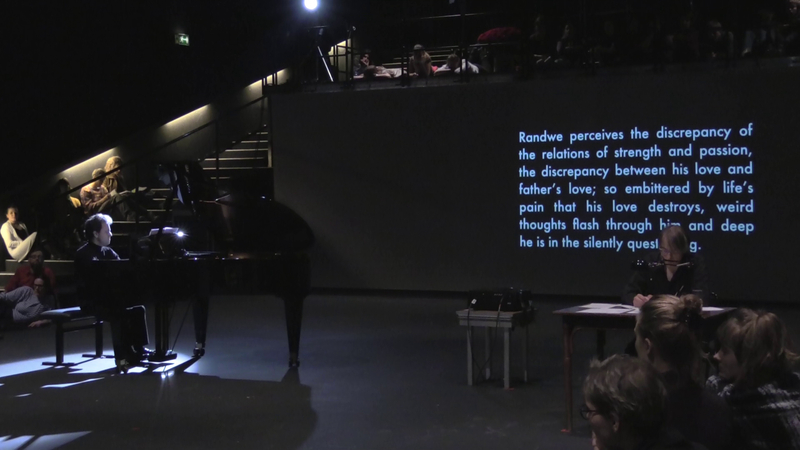 Paulo de Assis, Michael Schwab, Lucia D’Errico, Juan Parra C., Valentin Gloor, and special guest Marlene Monteiro Freitas performed Nietzsche 6: The Weight of Music at the Tanzquartier Vienna. This was part of the international Research Festival Philosophy on Stage # 4, chaired by Austrian artist-philosopher Arno Böhler. Nietzsche 6: The Weight of Music exposes the productive tension between Nietzsche’s musical compositions, his biography, and fragments of his writings.